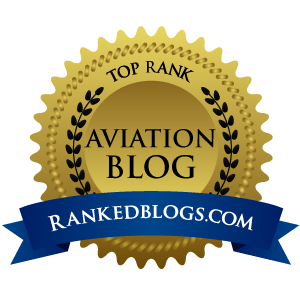 Be Proud of Your Dreamliner! There is no other airliner in the world that gets my heart racing like Boeing's awesome 787 Dreamliner. 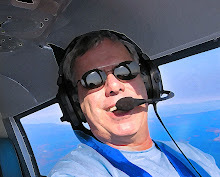 I say that even before the first one leaves a runway, and base my assumptions of anticipated brilliance on the many published interior, exterior and cockpit photos on boeing.com. When I analyze the almost unbelievable specifications that the -87 is designed to deliver, it makes me believe Boeing's “Next Big Thing” will really redefine what an efficient airliner should be. If I won about three Powerball drawings simultaneously, I'd love to order my very own 787...who wouldn't? When that happened, you could bet your farm I'd be shouting the news of that acquisition from the rooftops to all who'd listen. I'd be so giddy about being in line to get the keys to my Dreamliner, I'd think of nothing else, day and night. I'd eat, sleep and breathe Dreamliner. Boeing Co. has quietly added 30 fuel-efficient 787 jets to its order book, but it's not identifying the customer. The order, added to Boeing's Web site last week, was for 30 787-8s worth an estimated $4.6 billion at list prices, Peter Conte, a spokesman at Boeing's Seattle-based commercial airplane headquarters, said Wednesday. Conte said the latest company to buy the hot-selling 787 asked to remain unidentified, at least for now. (1) It is one of the big legacy carriers that have currently been scraping themselves up off the bankruptcy court floor, and don't want to ruffle their creditor's feathers by placing such a large order this week when they were crying about not being able to pay the pretzel bill last week. (2) It is one of the low-cost guys like Jetblue, AirTran or Southwest, who is planning to make a big media splash with the announcement of new routes (like Europe? 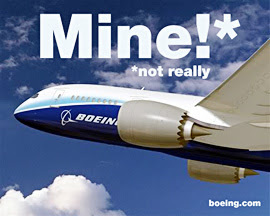 ), and don't want Boeing to let the cat out of the bag just yet. (3) It is Richard Branson and Virgin America, planning a mondo-push to get his airline going on this side of the pond. Nothing would say “Here we are, deal with us” quite like a shiny new fleet of 30 Dreamliners. We are just now hearing about this one big mystery order, but what about the other 37 Dreamliner positions booked by people in 2007 who want to remain anonymous? What ARE they thinking? The 787 has the opportunity to push airliner technology forward in the same way Boeing venerable 747 jumbo did back on 9 February, 1969 when it made it's first test flight. This will all certainly shake out in due time, but for now, it is just odd.